In the years since the enactment of Michigan’s ban on racial preferences, the University of Michigan has changed very little and certainly hasn’t become a “mediocrity” as Coleman claimed to fear. Nevertheless, a quasi-religious devotion to race and gender discrimination continues to sweep over American higher education. 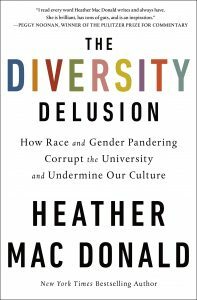 Manhattan Institute scholar Heather Mac Donald devotes her latest book, The Diversity Delusion: How Race and Gender Pandering Corrupt the University and Undermine Our Culture, to a wide-ranging examination of this obsession. The academy, she writes, originally maintained that its diversity efforts were needed for “bridge-building and broadening people’s experiences,” but clearly has the opposite effect by “dividing society, reducing learning, and creating an oppositional mind-set that prevents individuals from seizing the opportunities available to them.” This new kind of discrimination—for “diversity”—has spawned an antagonistic groupthink that tears the social fabric and distracts our universities. Well, leadership certainly is important, but why assume that such leadership can only come from people who have gone to a flagship university? Moreover, why believe that a Berkeley education imparts better ideas than does an education at less prestigious institutions? And what if preferentially admitted students can’t handle the academic rigors of the university? Birgenau’s case might sound convincing at first but it falls apart under scrutiny. Racial preferences for diversity don’t improve education or lead to a society that’s more fair. But what harm comes from the diversity delusion? Mac Donald argues that it’s damaging in several ways. One of them is that having admitted some students just because of their superficial diversity, college officials find it impossible to treat them like adults. Their feelings become of paramount importance on campus, leading to the most incredible follies. Among the many incidents Mac Donald recounts, my favorite is the furor at Emory when a few students saw “Trump 2016” chalked on a sidewalk. Emory is typical. In case after case, when some students complain about their hurt feelings, marginalization, or concerns for “safety,” school officials cringe before them and try to buy peace with offerings of more diversity programs and administrators. Worse than the waste of resources that entails are the effects on free speech and on the quality of education. Free speech is threatened because the diversity obsession has led to the creation of many “bias reporting” systems that are meant to, as Wellesley College students wrote in the school paper, “shut down rhetoric that undermines the existence and rights of others.” When it comes to a choice between robust free speech and student demands that “offensive” speech be silenced, college officials choose to avoid trouble and cave into the demands. As a result, students learn that they must carefully gauge every word to avoid being reported for “bias.” That’s also true for faculty members, as 79-year-old UCLA education professor Val Rust found out when he had the temerity to correct some language errors in dissertation proposals written by grad students. You have to read Mac Donald’s account of the ensuing furor to see how university officials take leave of their senses when diversity is at issue. The diversity obsession attacks educational quality in two ways. First, students are often required to take politicized courses designed to spread the diversity mindset that some groups are privileged, and others are oppressed. (Whether or not those courses actually “work” to make students true believers is beside the point; they’re a misuse of scarce educational time.) But “diversity” is now soaking into real courses as well. At Berkeley, Mac Donald reports, an introductory chemistry course now features “culturally sensitive pedagogy.” The idea behind the course is to “disrupt the racialized and gendered construct of scientific brilliance.” How is that accomplished, you wonder? The instructors reject the idea that science means getting “all the right answers.” All students, they declare, are “scientifically brilliant.” Coursework is done in teams and the scientific language of chemistry is avoided. Department heads who want to hire the most excellent candidate find themselves in trouble if their choice doesn’t advance the diversity agenda. Students who might actually be scientifically brilliant are obviously wasting their time in a course that is all about the egalitarian fantasies of two professors. The mania for diversity also affects faculty hiring. Across the entire academic landscape, hiring is subject to pressure for more women and candidates from “underrepresented” groups. 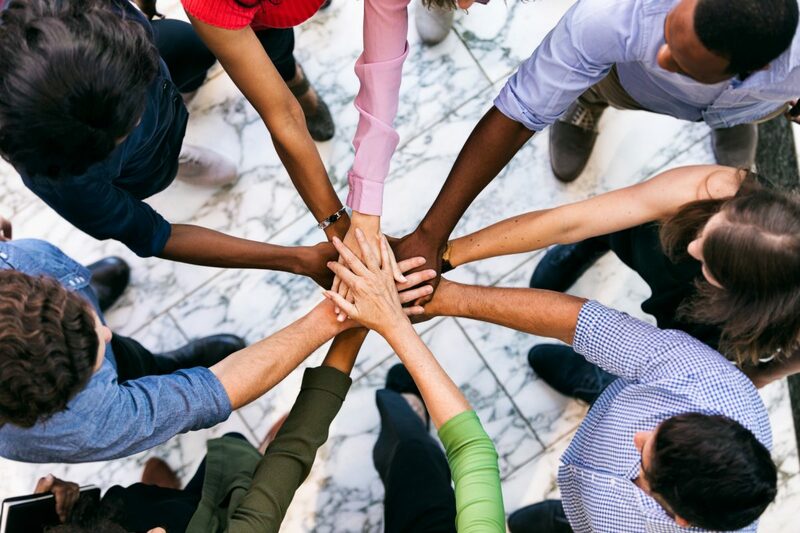 Department heads who want to hire the most excellent candidate find themselves in trouble if their choice doesn’t advance the diversity agenda. Moreover, science funding is now also subject to diversity requirements. Among many absurd instances Mac Donald reports, I think the silliest is a grant from the National Science Foundation to Texas A&M’s Aerospace Engineering Department. Its purpose: studying how to “remediate microaggressions and implicit bias” in engineering classes. When it comes to solutions, Mac Donald doesn’t equivocate. She wants to see the whole diversity apparatus dismantled. All the thousands of academic sinecures devoted to pushing diversity should be eliminated and the government should stop pandering to diversity proponents. Let individual excellence again be the coin of the realm. DuBois understood that nothing can be gained by evaluating people based on race or other groupings. Students who complain about having to read white authors or study the music of white composers (“Who is this Mozart and why should I have to listen to him?”) could learn from him. The Diversity Delusion should set off alarm bells in the minds of Americans who have heard little or nothing about the damage it is doing to the nation.